Just after eight on a February morning. The sun is already climbing in the sky and bathing the Ley in a warm glow. 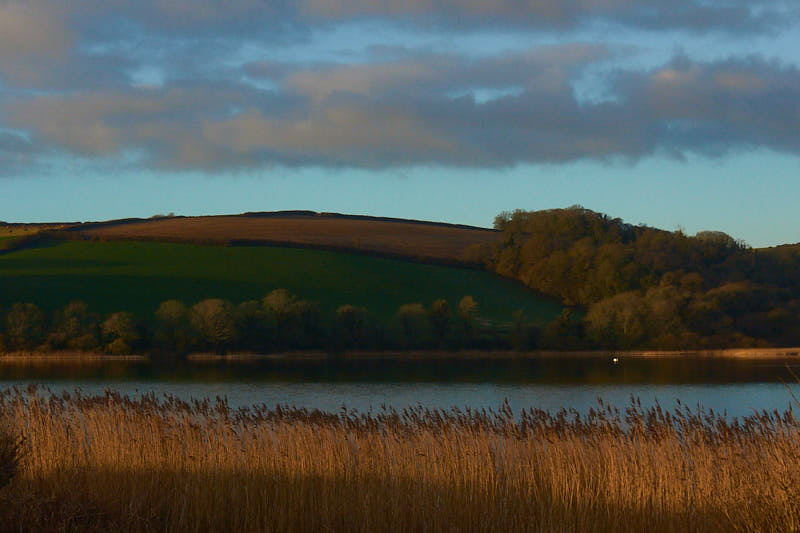 Slapton Ley, South Devon. February morning.